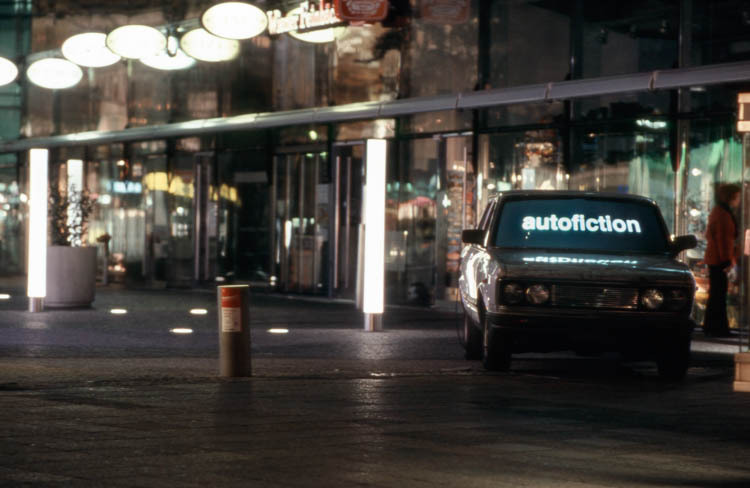 Moritz Hirsch's work Autofiction is a video installation – actually a real historic Fiat 132 that the artist owned for several years before turning it into an art work from 2004 to 2012. 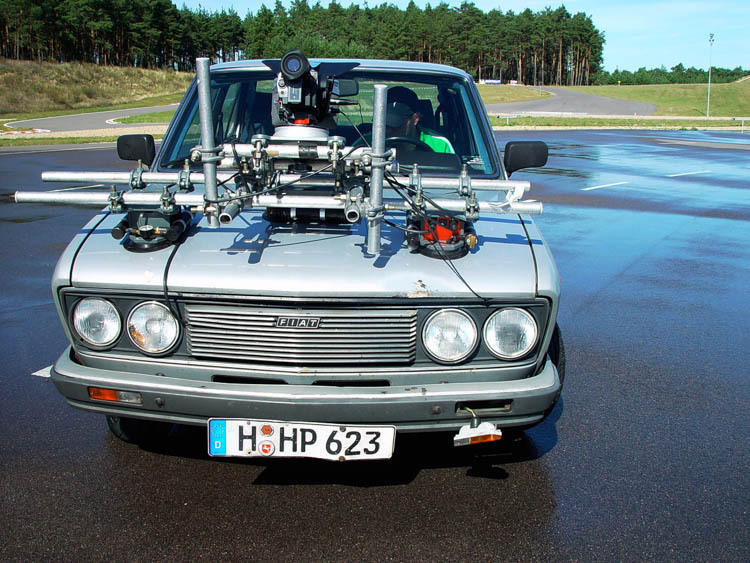 Following three different static and dynamic scenarios Hirsch filmed himself from the bonnet of the car sitting in it and driving it. 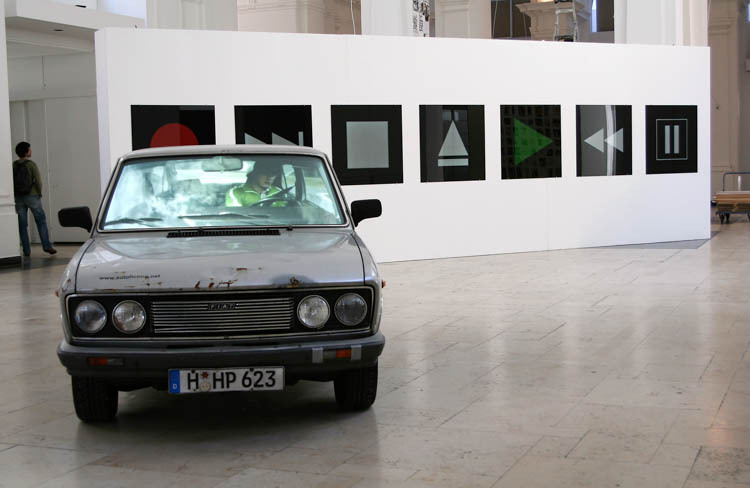 In the final installation, the car itself serves as a black box. The video is projected from the rear onto the windshield and creates the illusion of someone sitting in the car. Observers can watch the movements of the driver while he is sleeping, eating and actually driving, but the car will remain stationary. 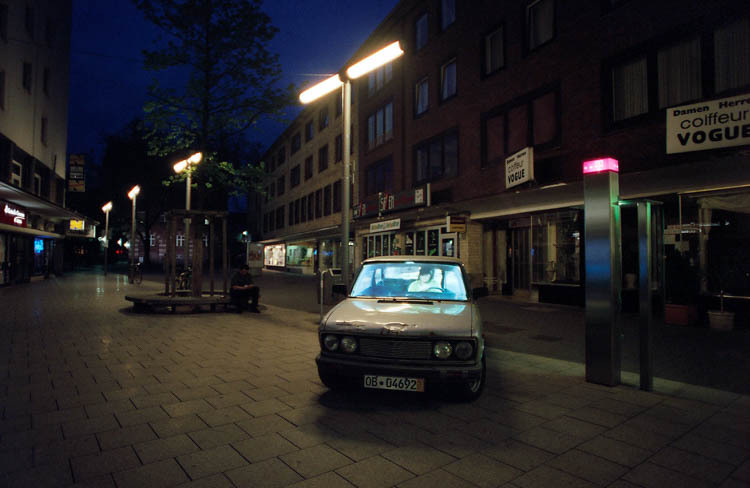 Before it was acquired for the fluentum collection, Hirsch showed the car in various public locations, sometimes over several days. 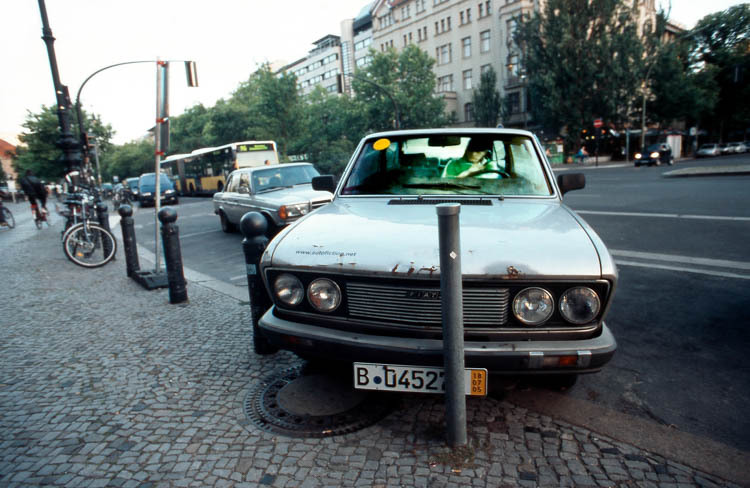 Thus he created the illusion of a real car parked at the roadside but presenting its stories to passengers who were not prepared to see a piece of art. 443cm x 165cm x 144cm, 78'50"